The 1/4-type EXview HAD CCD sensor captures crisp Standard Definition images. Shutter speed, gain and white balance are adjustable for excellent performance under virtually any lighting conditions. The 28x optical zoom range is complemented by 12x digital zoom for frame-filling close-ups of small objects, with every detail seen clearly. A choice of manual, AF or infinity focus modes gives full installation flexibility in any monitoring situation. The stepper motor assures smooth, rapid movement to the target position over a wide pan/tilt angle range. 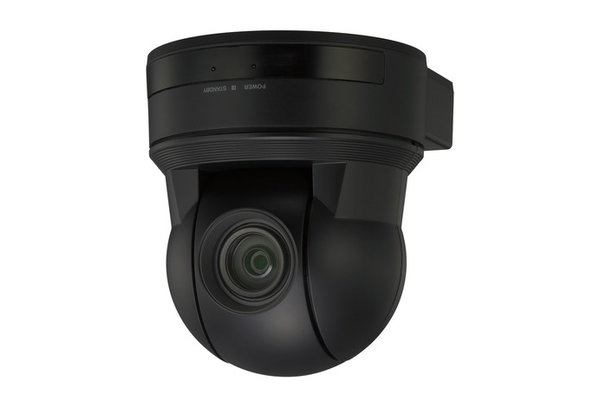 Outdoor mounting (requires optional dome housing) can often cause shaky, blurred images from wind, vibration and other environmental factors. Image stabilisation distinguishes unwanted camera movement from motion in the scene itself for smooth, clear, more natural pictures. Pan/tilt/zoom settings plus focus, AE and white balance mode can be stored as six position presets for instant recall. Installation flexibility is increased by a choice of standard or ceiling mounting options. The camera’s E-Flip function automatically detects mounting orientation so output images are always the right side up. Camera settings and PTZ can be controlled from a remote PC via RS-232C/RS-422 (VISCA) protocols. 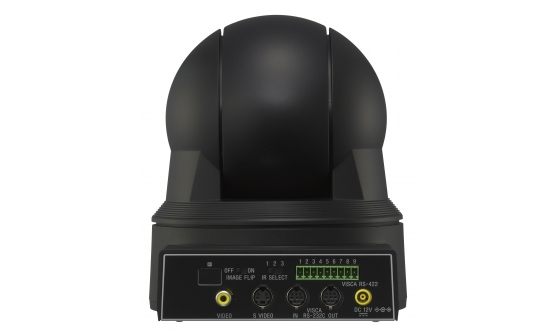 Easily control pan/tilt/zoom settings using the supplied infrared remote commander. 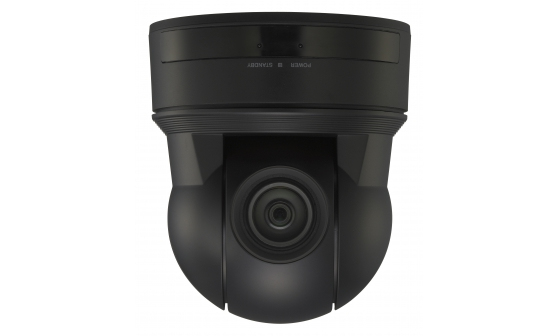 The camera’s smart, sleek design fits unobtrusively into a wide range of security and monitoring environments.